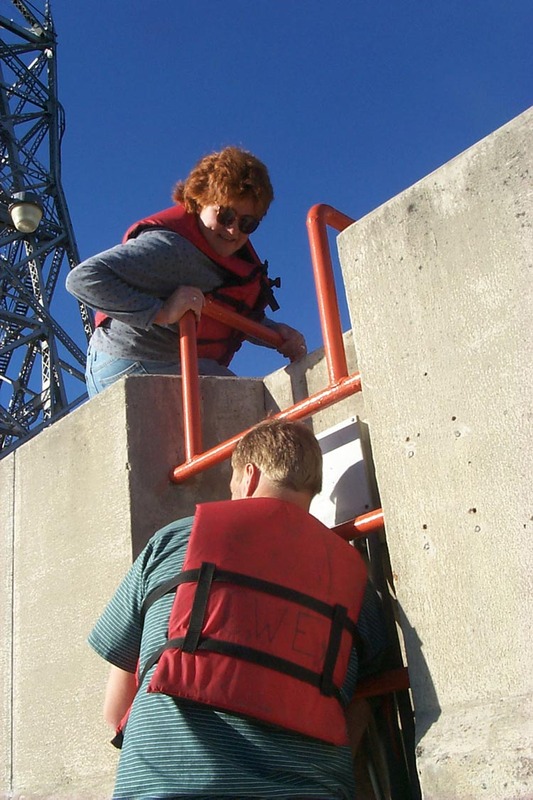 11/26/01-Installation of the Stream Monitoring Unit at the Duluth Ship Canal downstream (lakeside) from the Duluth Aerial Lift bridge. 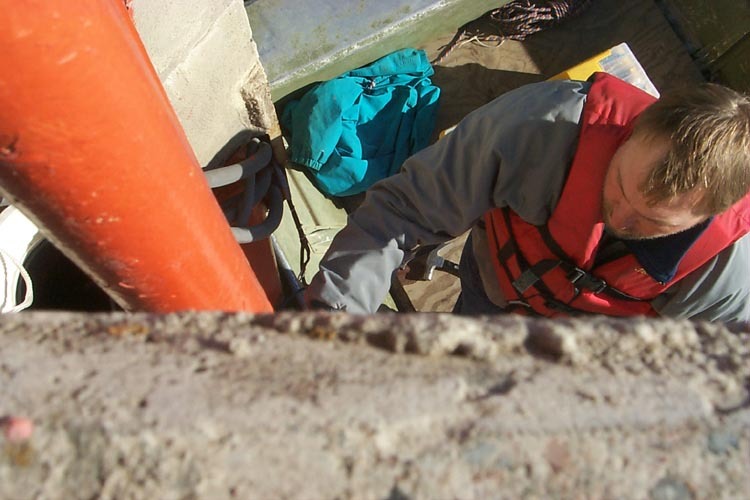 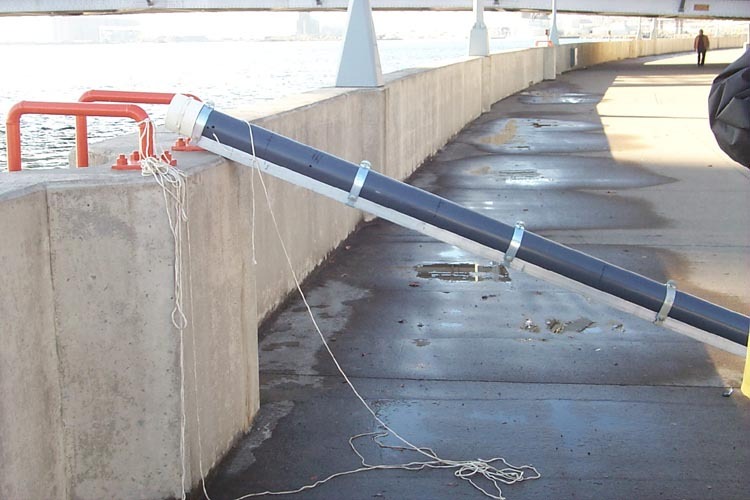 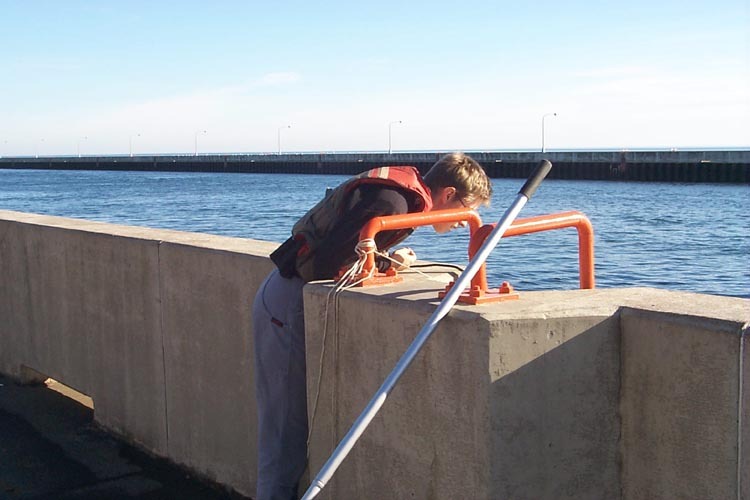 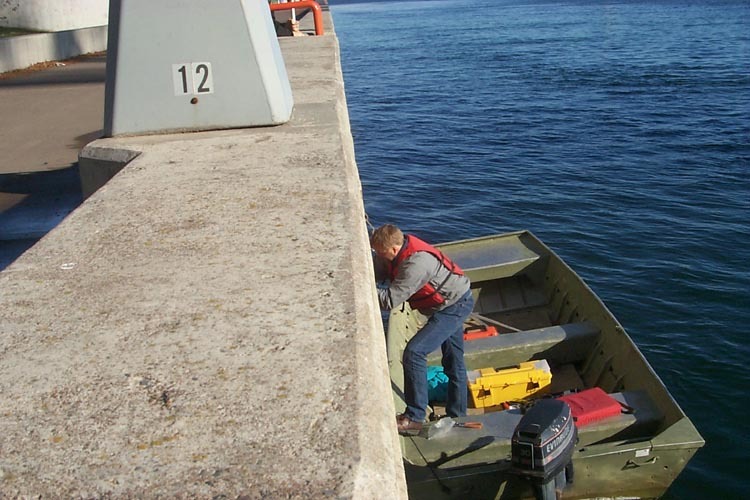 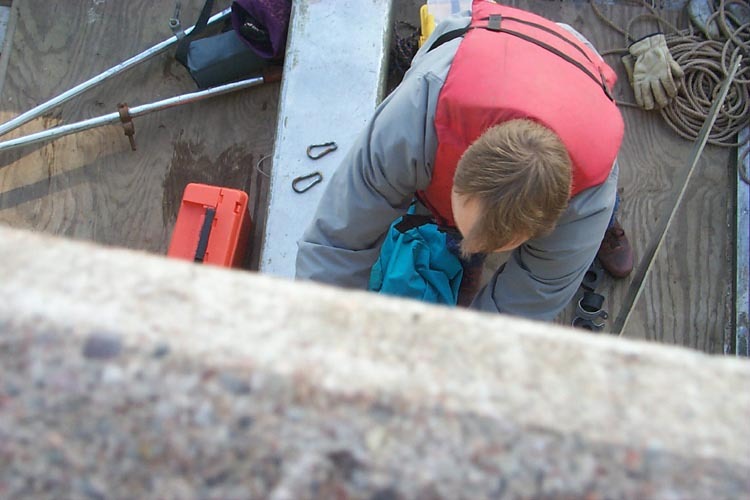 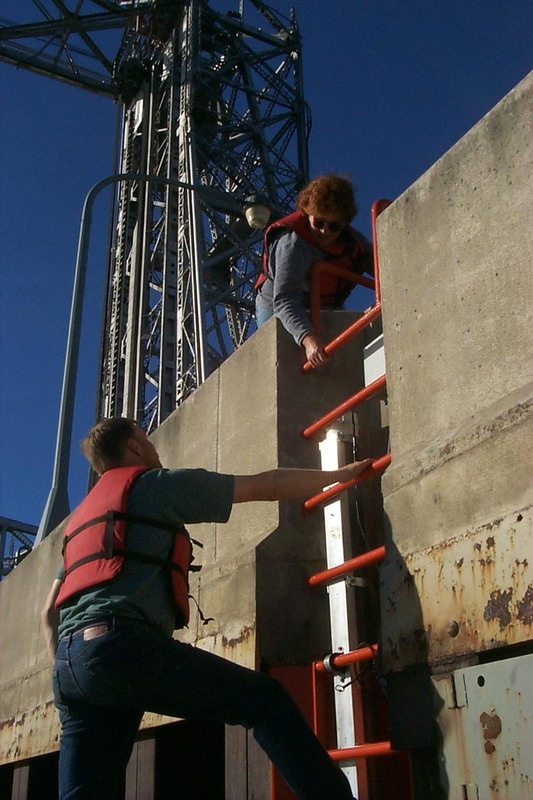 The unit consists of a PVC pipe mounted behind one of the safety ladders built into the sea wall and a YSI 6820 sonde and cable. 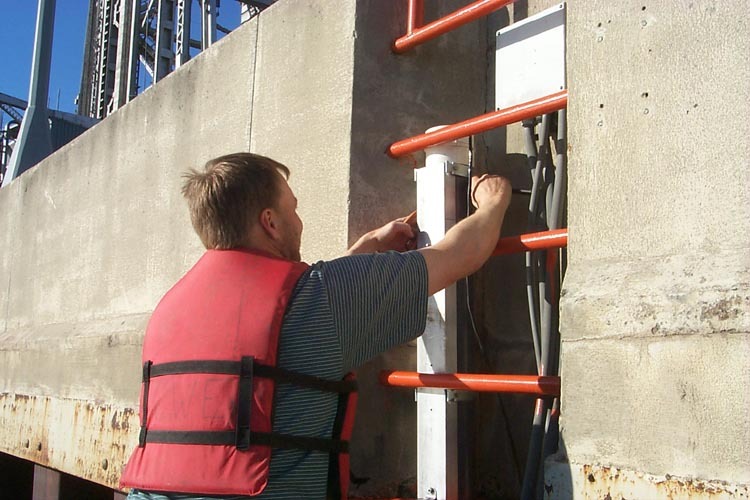 The cable runs underground into the Army Corps of Engineers building adjacent to the site. 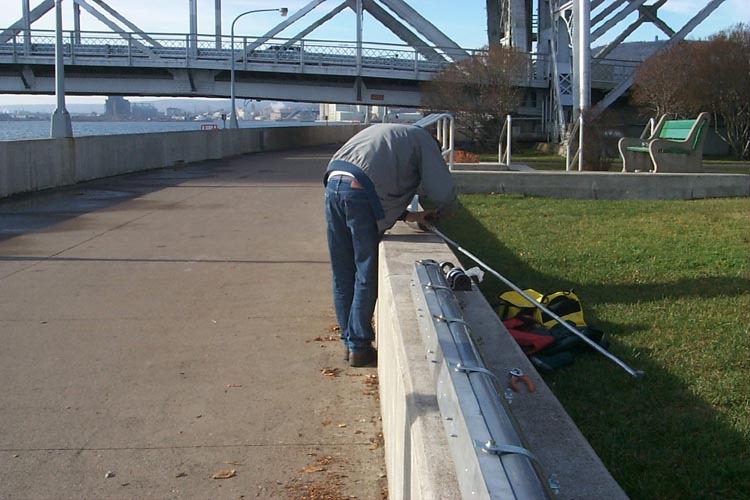 We share a phone line with the USGS (station 464646092052900) which operates an acoustical velocity meter (AVM) system with a two-path transducer installation. 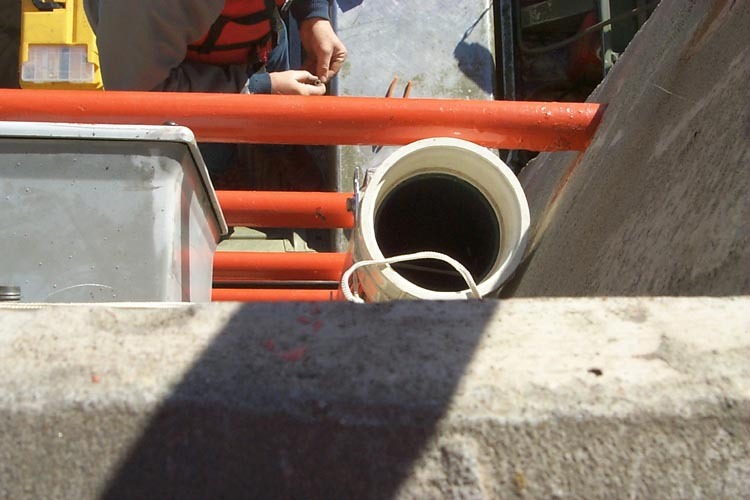 The USGS supplies real-time gage height and stream velocity on their web site and we soon hope to use these data to present flow based water quality graphs on WOW. 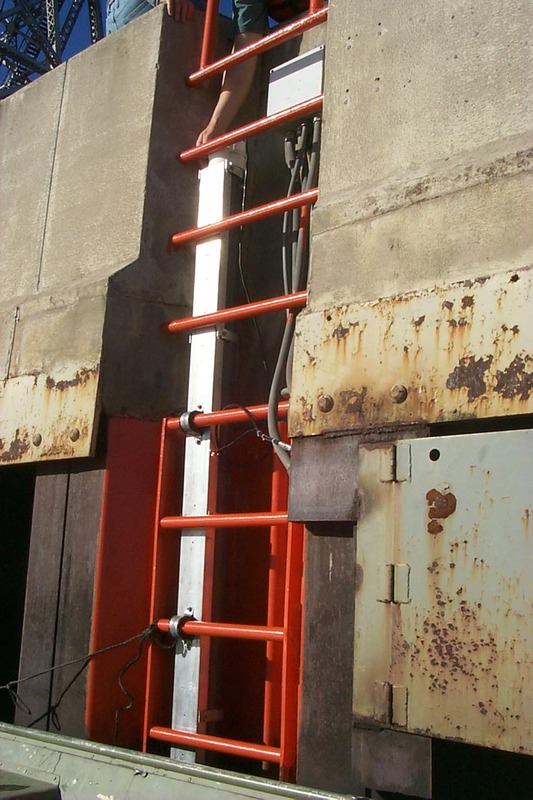 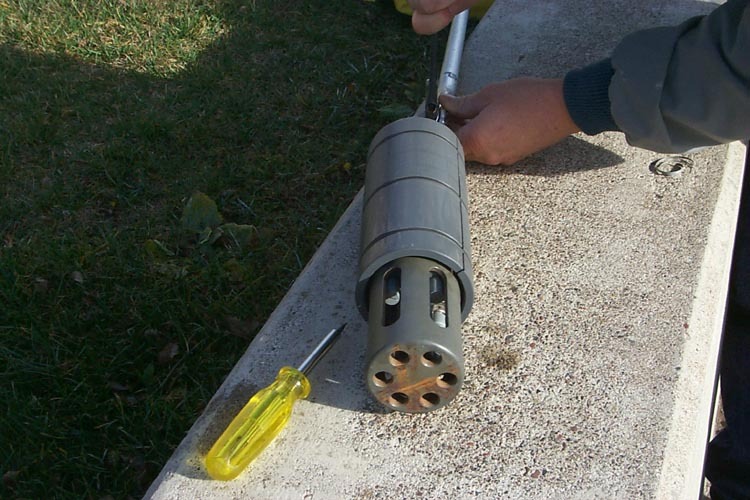 Click on any of the thumbnails below to see how we installed the unit.